Today we’re starting to slowly roll out a new version of our extension for Chrome, Firefox and Safari: 7.3.0. It features a couple of much asked for features, and a couple of major changes under the hood. 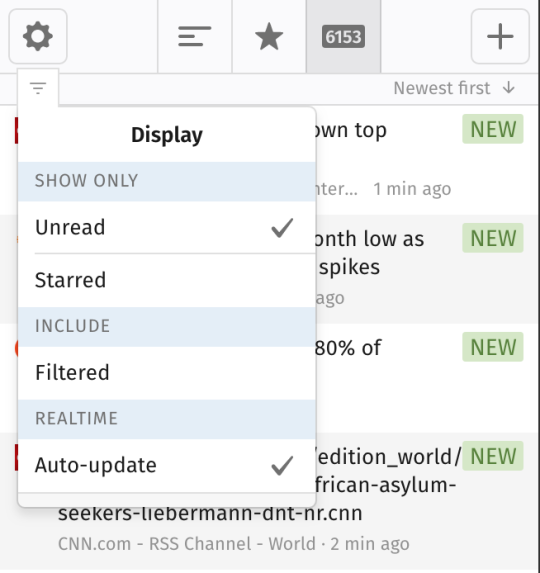 We’re happy to announce Display settings for post lists. It’s a small button in the top toolbar to choose which display filters to apply. Choose to only see unread, starred, or posts that both are starred and unread. For Feeder Pro users who use incoming filters, you can also choose to see which posts are actually filtered out. After trying it out ourselves we couldn’t believe we haven’t added this sooner. Real-time updates. 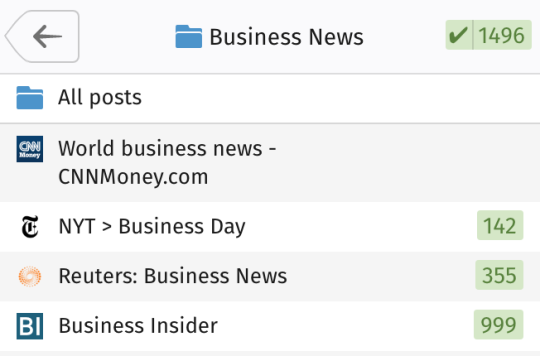 Now when a new post comes in, the post list is updated automatically. You can choose to disable this in the aforementioned Display settings dialog. Folders are great for organizing your feeds. To make them even more powerful we have now added “All posts in folders”. When you visit a folder you will notice a new item: “All posts”. Clicking that item will show you all posts from the folder, so you don’t have to click into a folder, back, into the next, etc. Making folders more than just pretty faces. To better accommodate these and future changes we spent some time modernizing the codebase. For the techies out there: We switched to React instead of our own home grown templating library. We’ve taken a phased approach to this rewrite, and currently the post, feed and folder lists are rewritten using React. For non-techies: More features, less bugs. We’re really excited to finally roll out this update. It’s taken a lot of work. Work that would not be possible if not for the support of our Feeder Pro users. Get Feeder Pro today and help us make Feeder even better. It’s only $4.99 a month when paid annually, or $5.99 month-by-month, and unlocks many great features and time savers. If you have any questions or feedback we’d love to get in touch. Just e-mail us at support@feeder.co or open a chat window on our webpage.